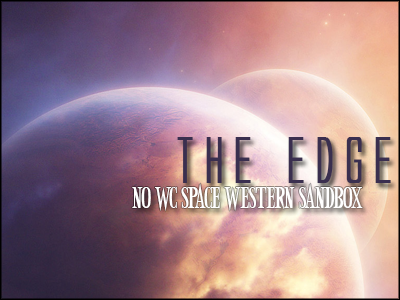 The Edge is a space western sandbox with a fairly flexible setting and many means for member based creation. We're fairly laid back, with few rules only regarding basic TOS that adheres to where we're hosting our site and basic common courtesy rules. The approachable admins (including myself) overlook member created content so we keep some basic universal ties to our setting. You can go both fairly western and fairly scifi, or, of course, a mixture of both. We have two planets (an urban setting and a western setting) and lots of space in between (if you know what I mean) for user created content! Our world is diverse and can allow a multitude of character types and professions. --Has been going steady for TWO YEARS. Very stable with a fairly balanced member base.